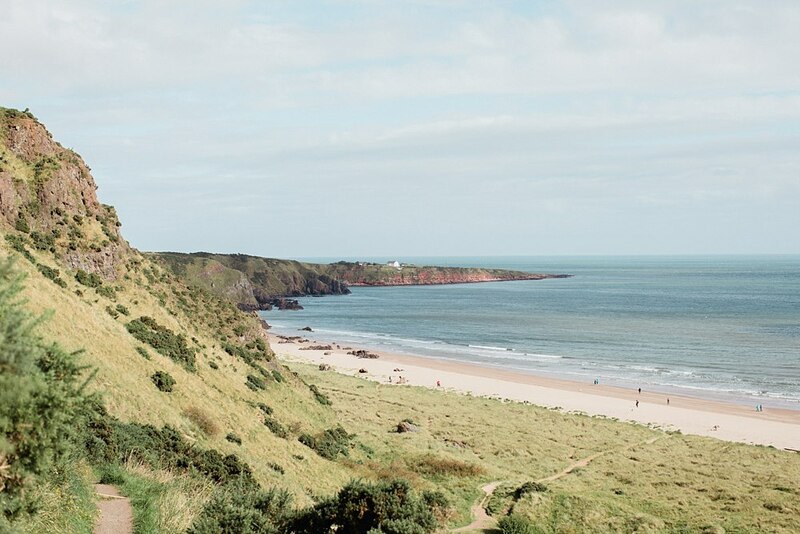 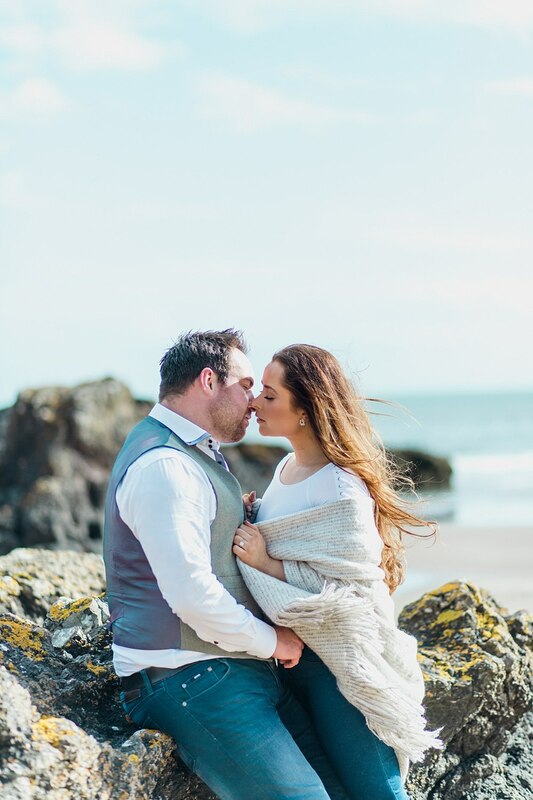 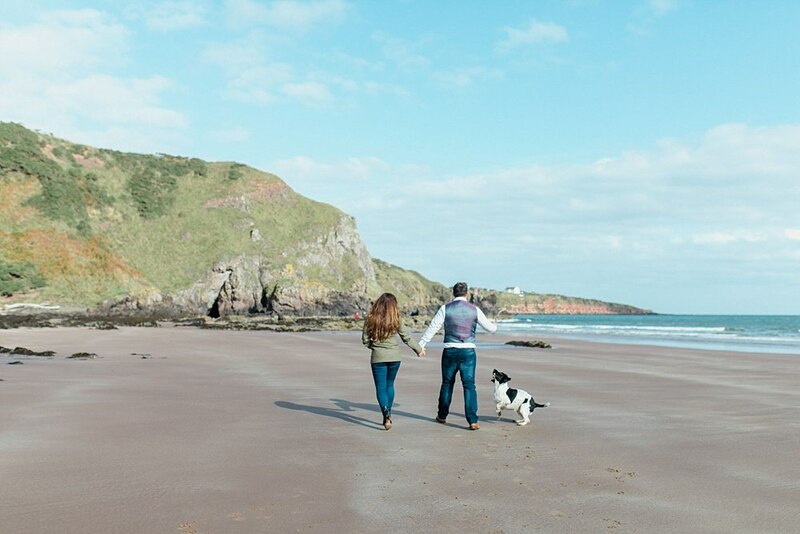 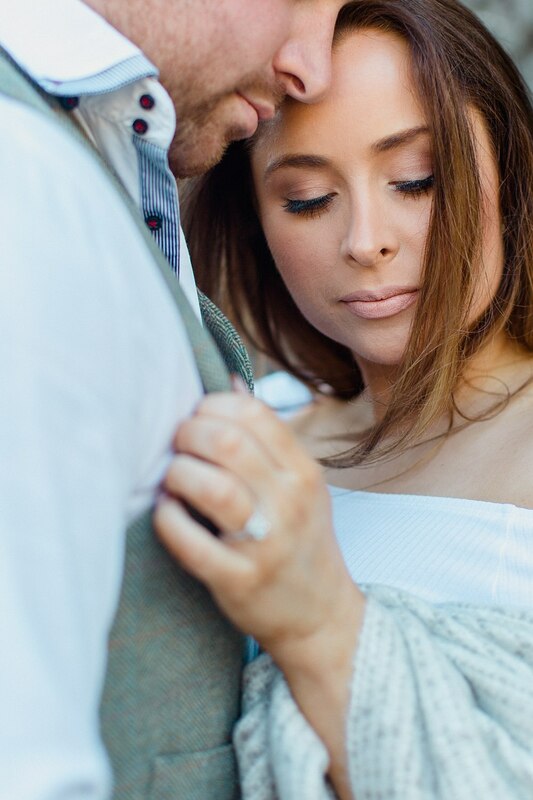 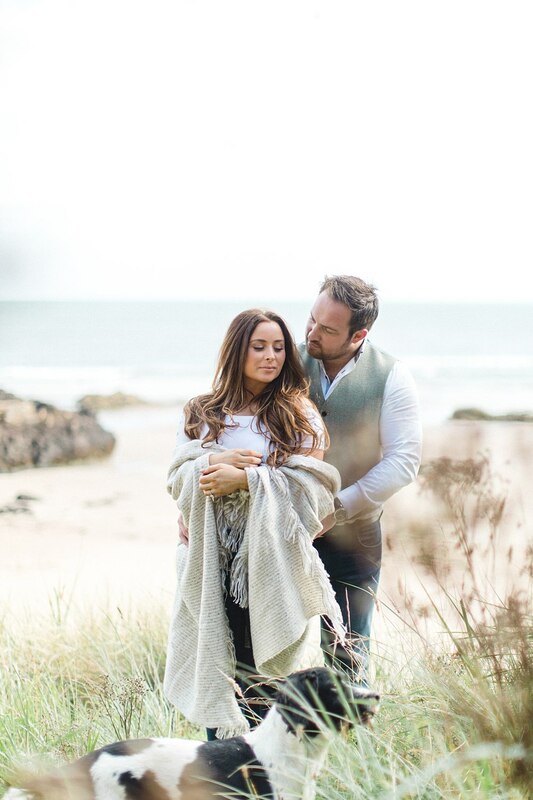 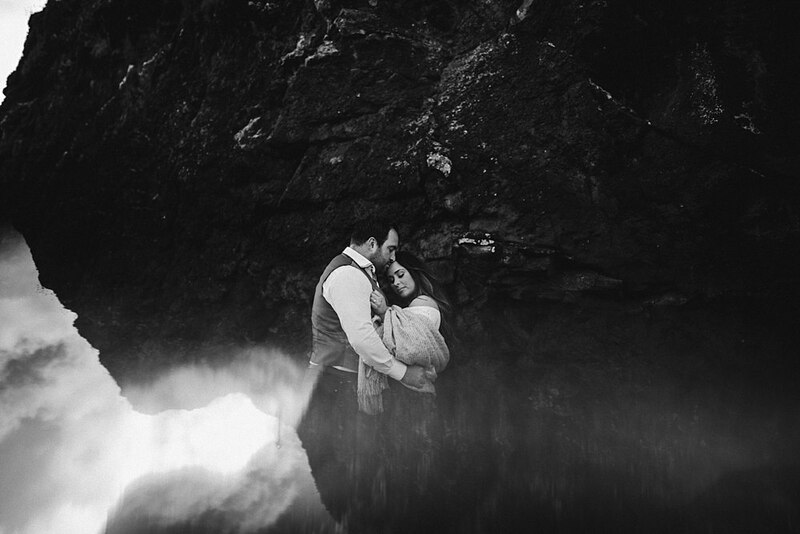 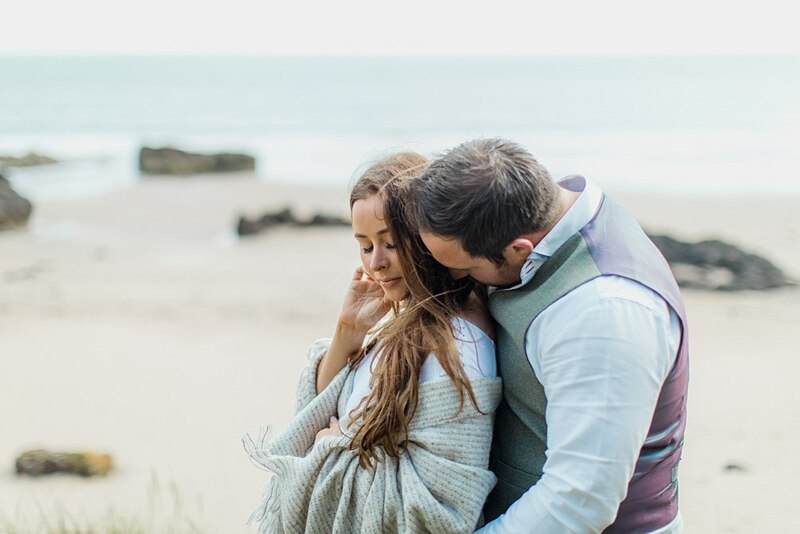 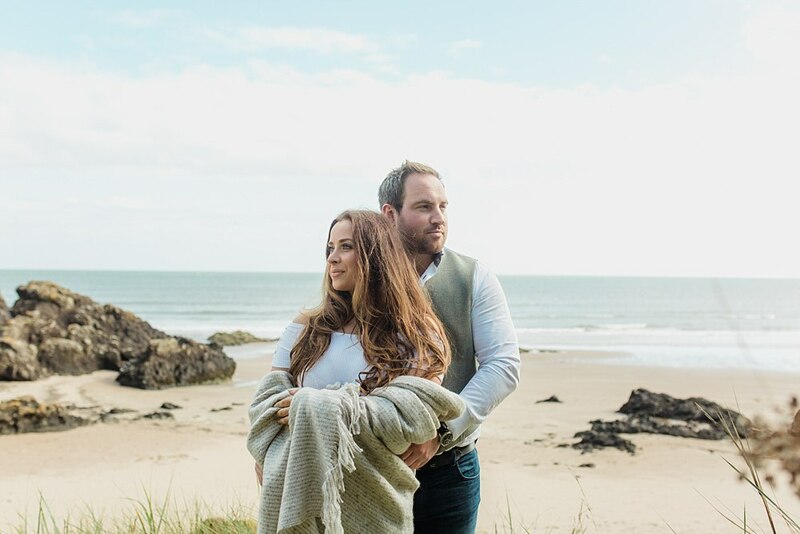 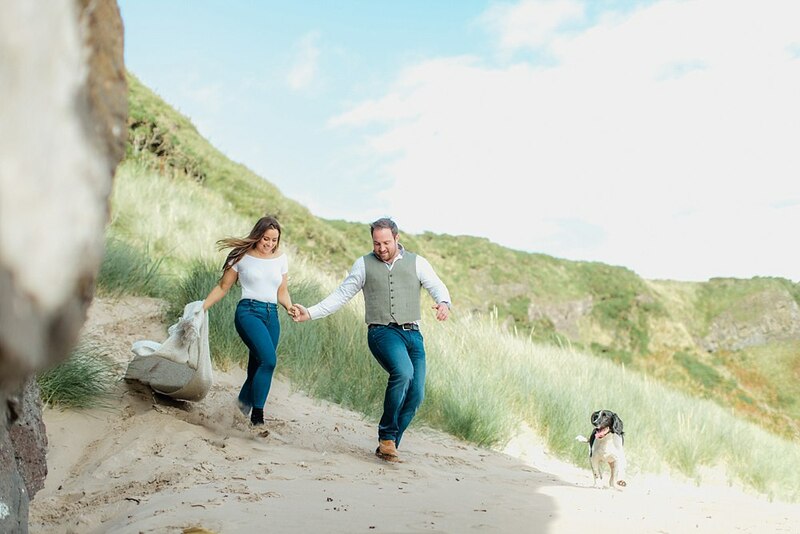 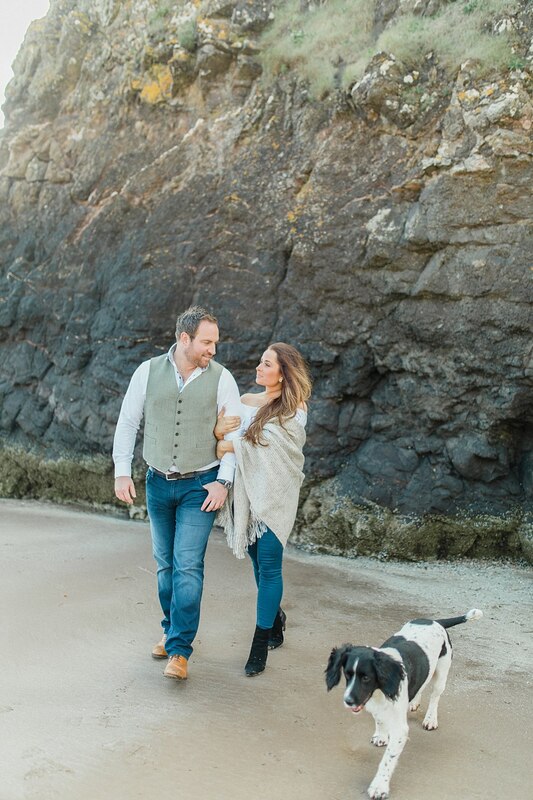 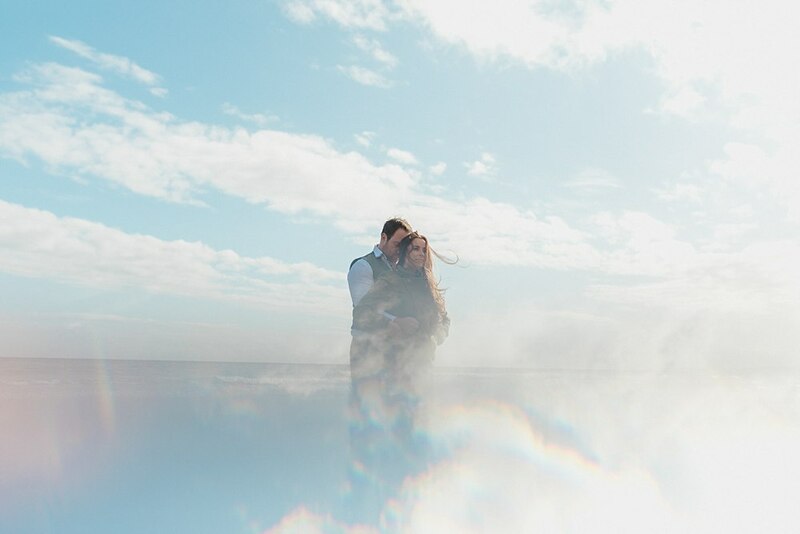 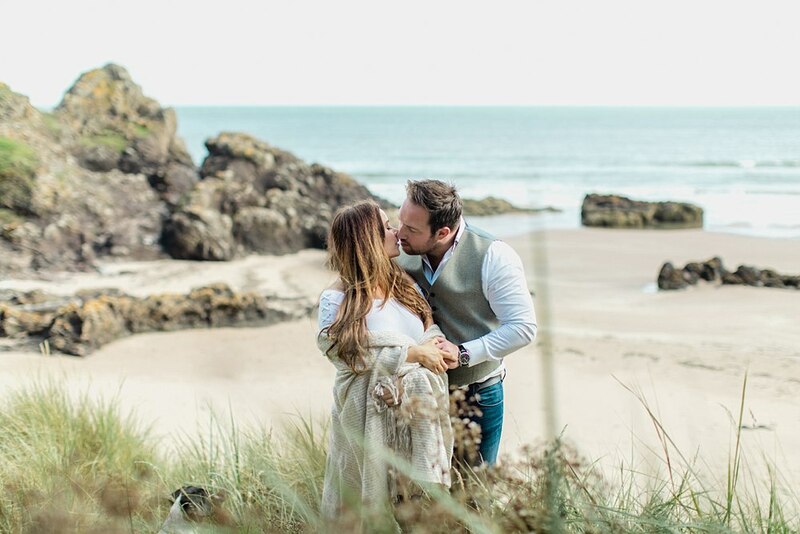 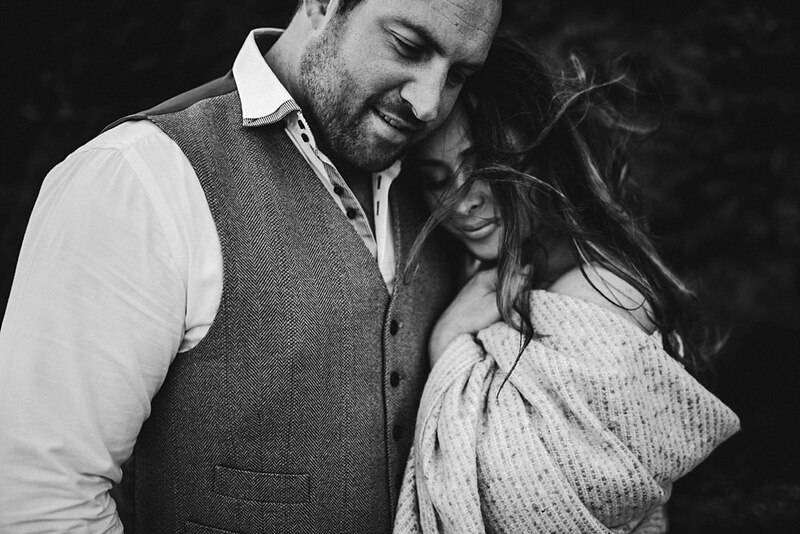 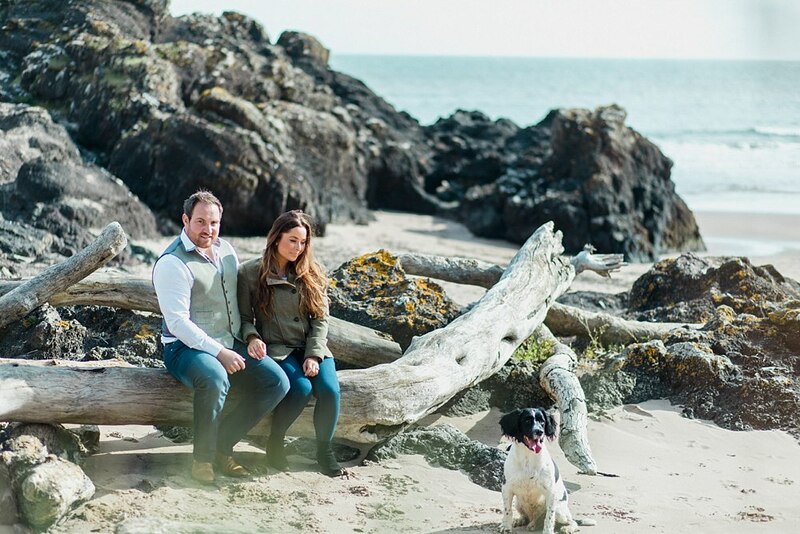 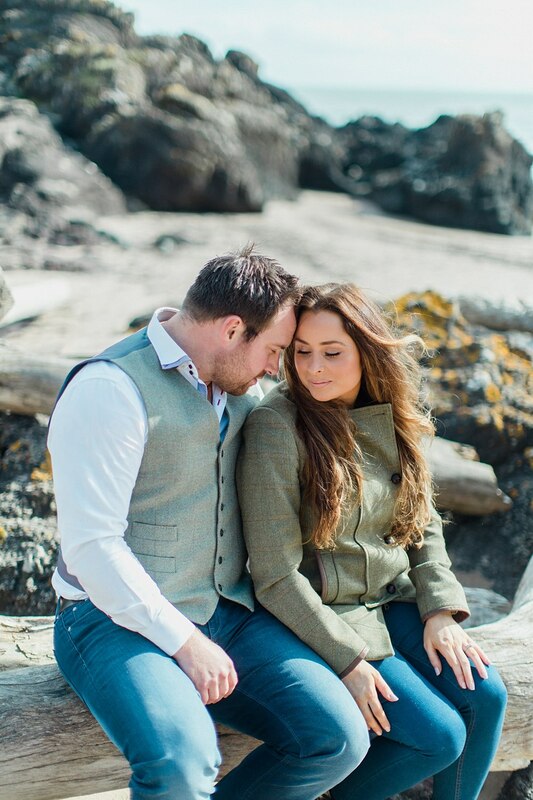 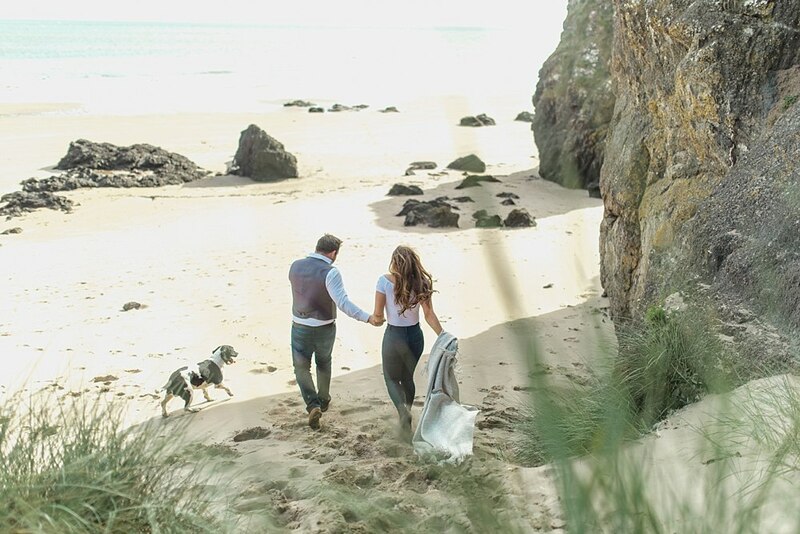 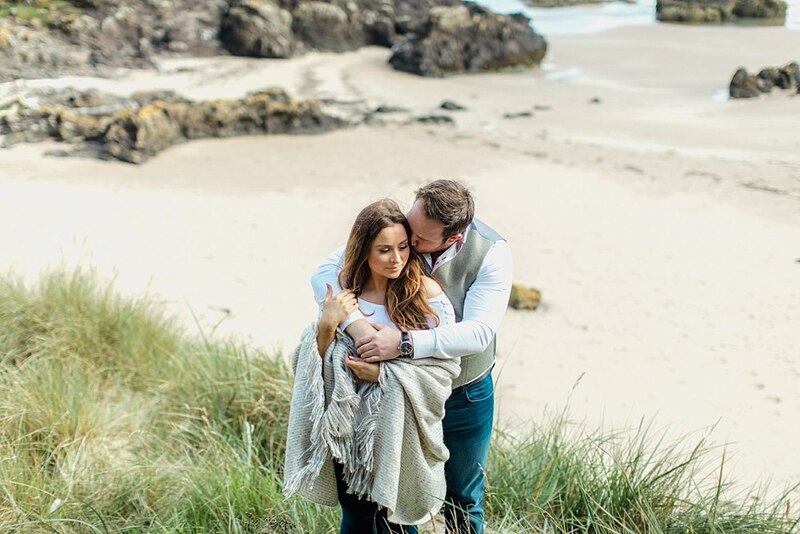 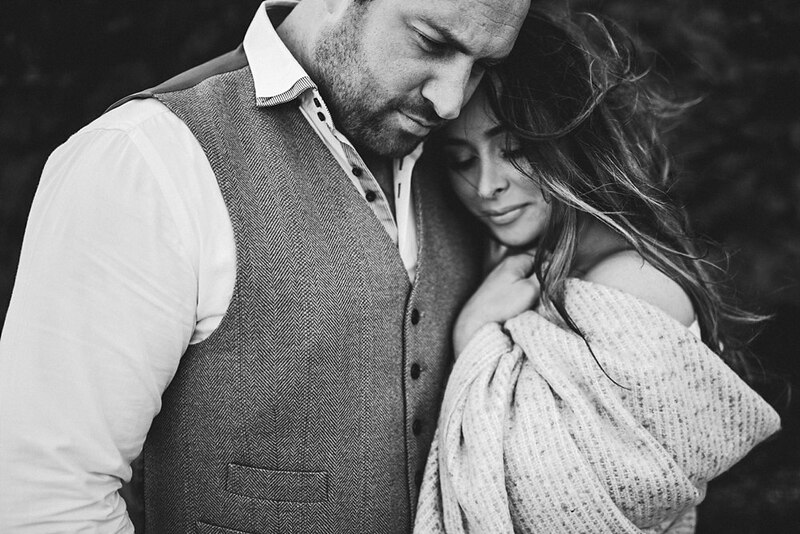 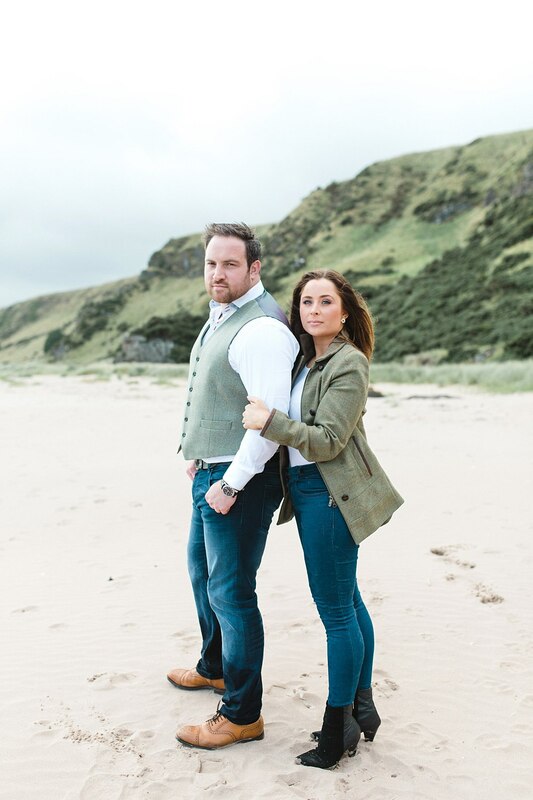 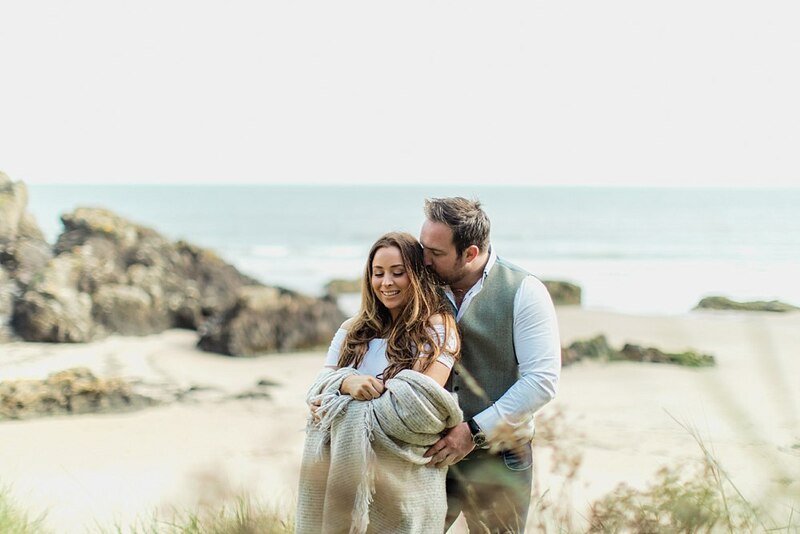 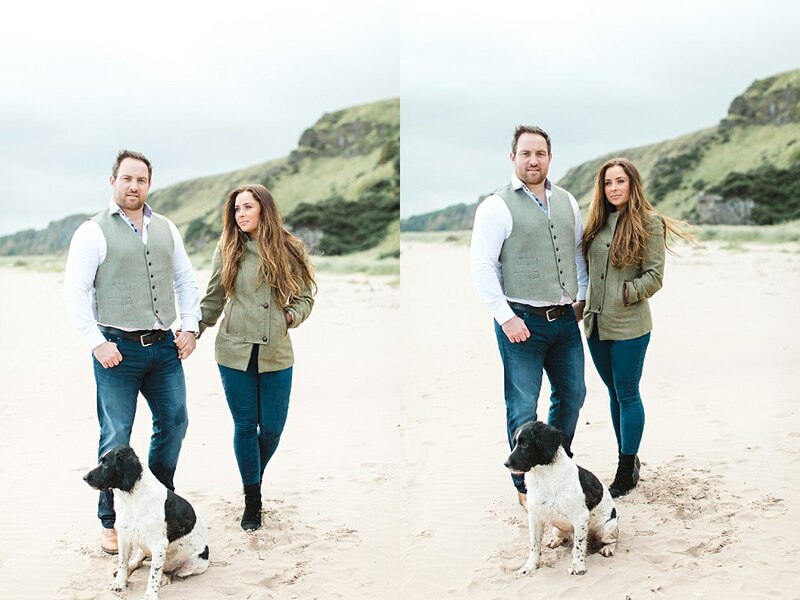 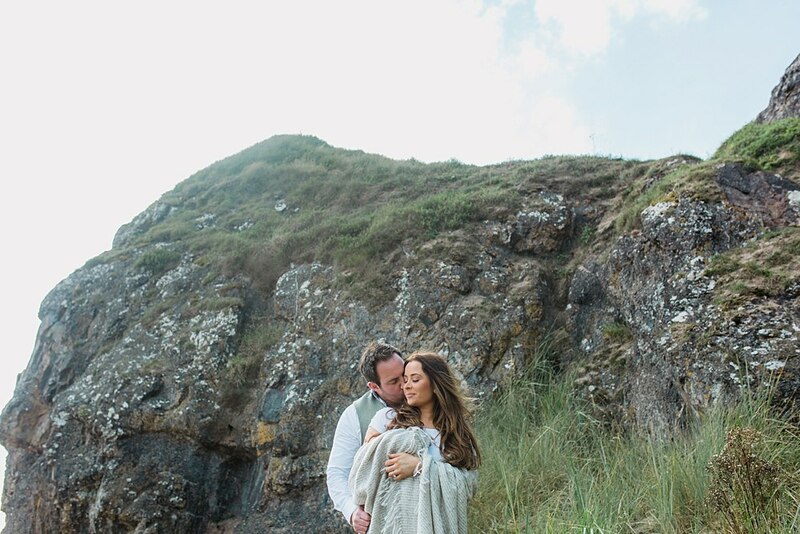 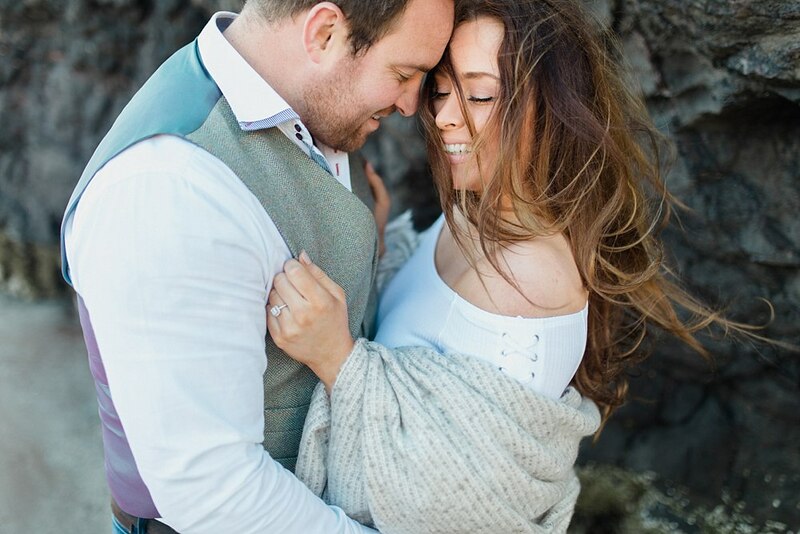 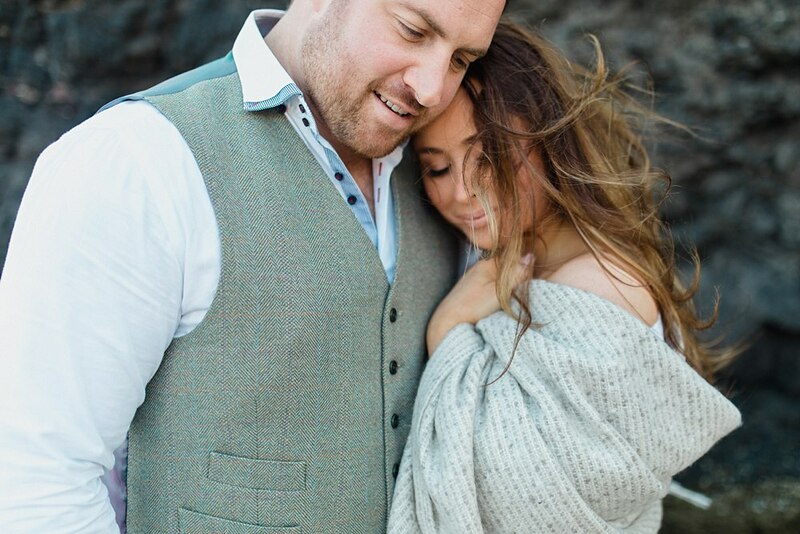 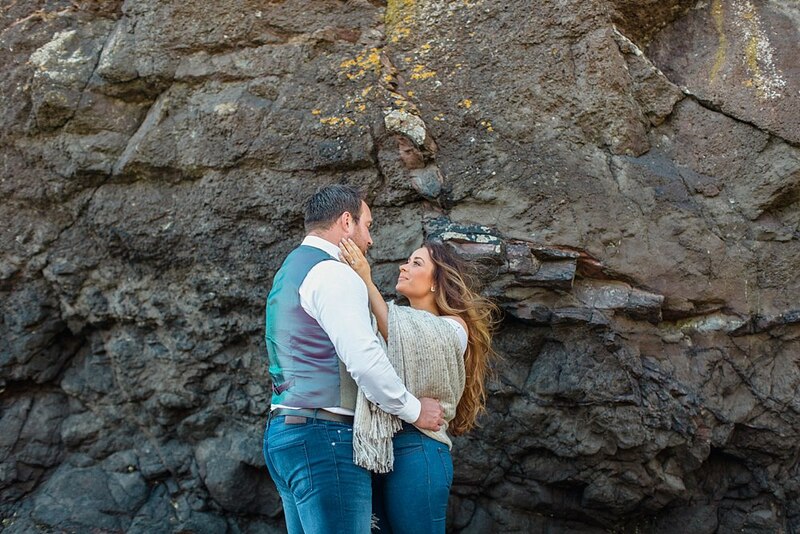 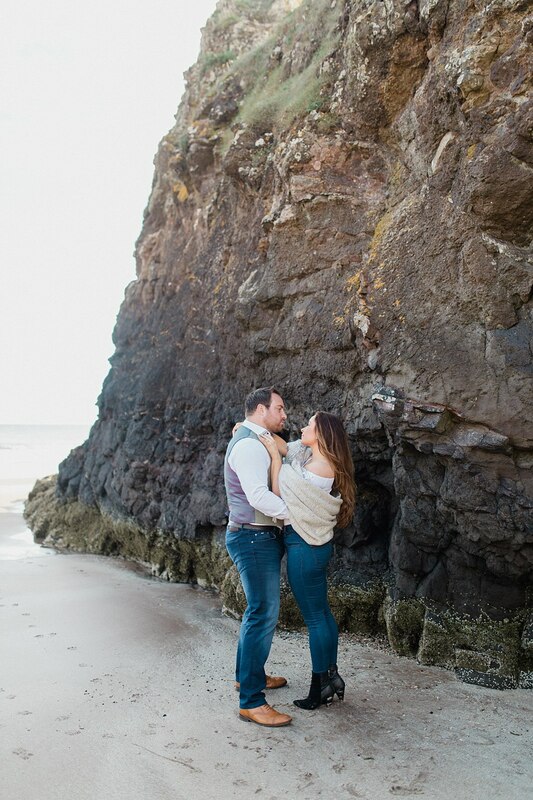 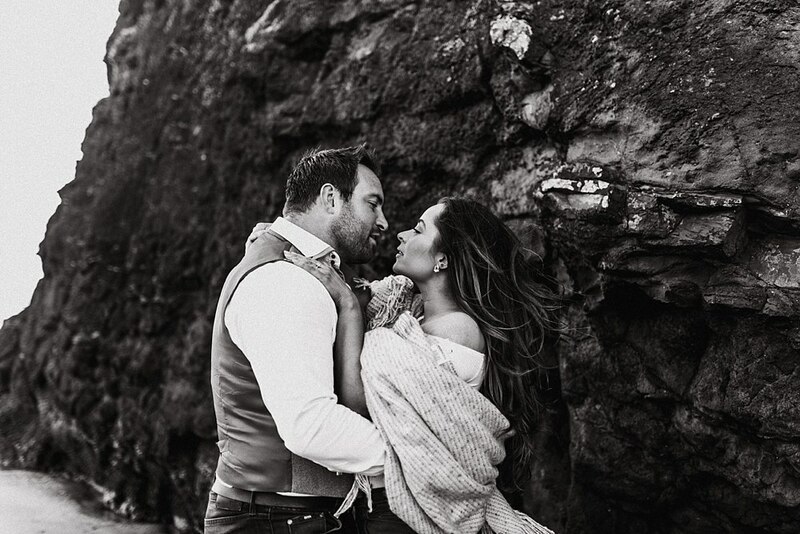 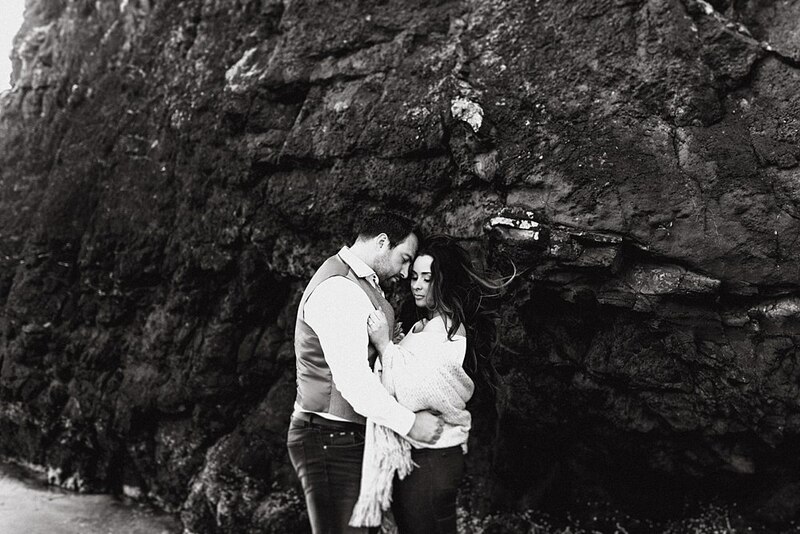 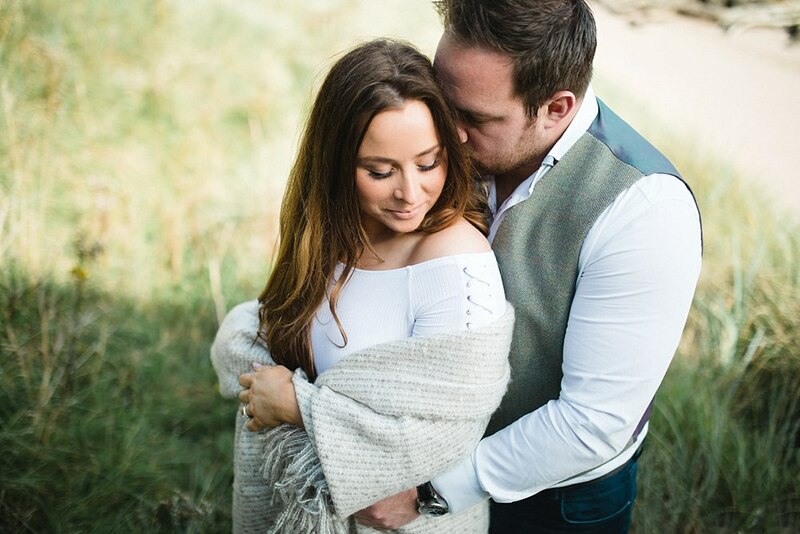 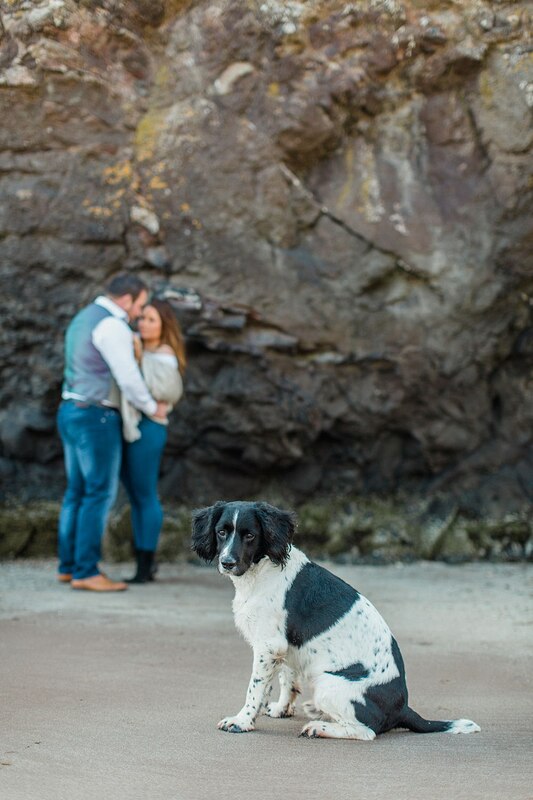 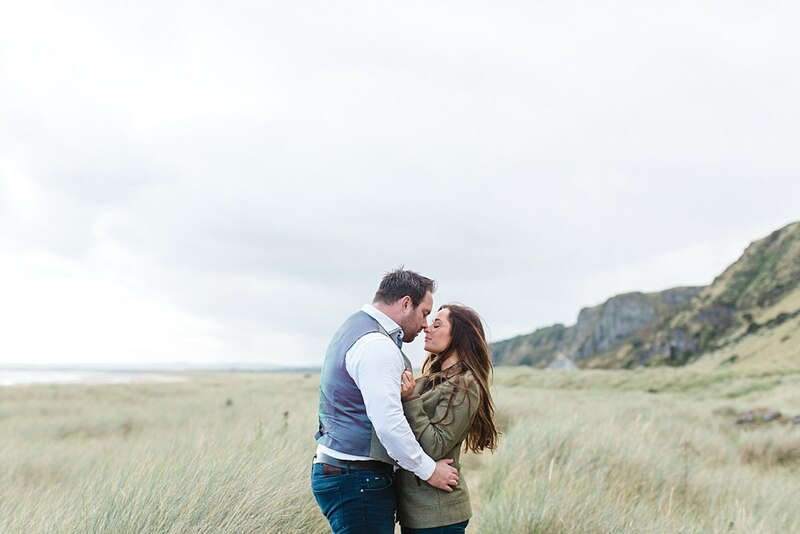 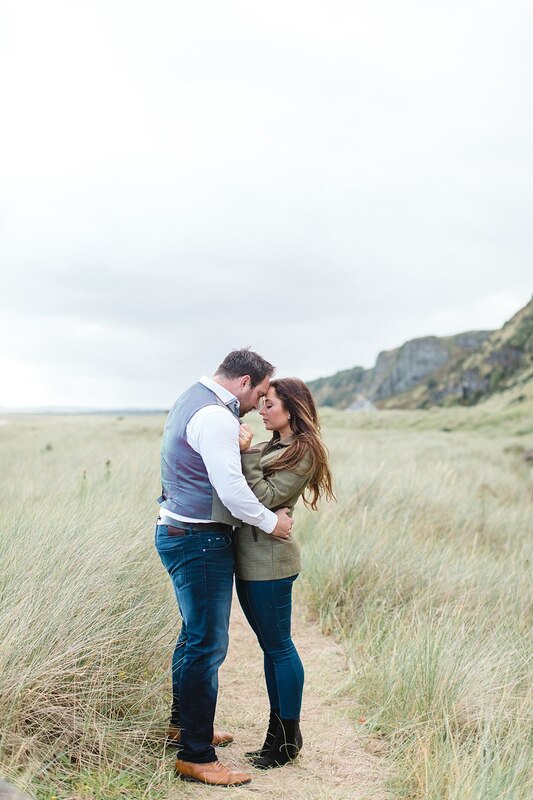 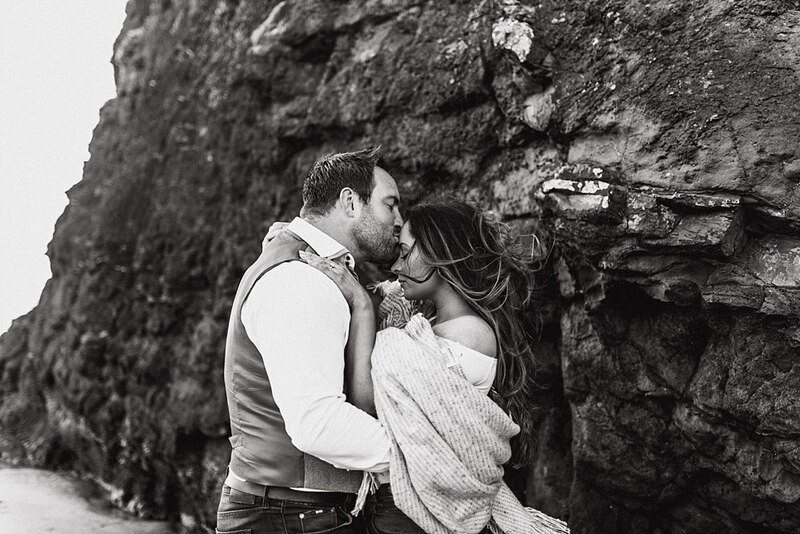 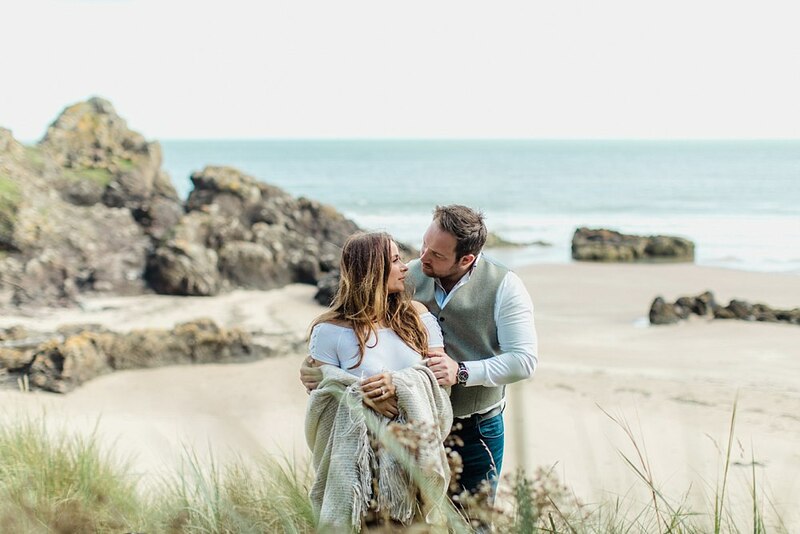 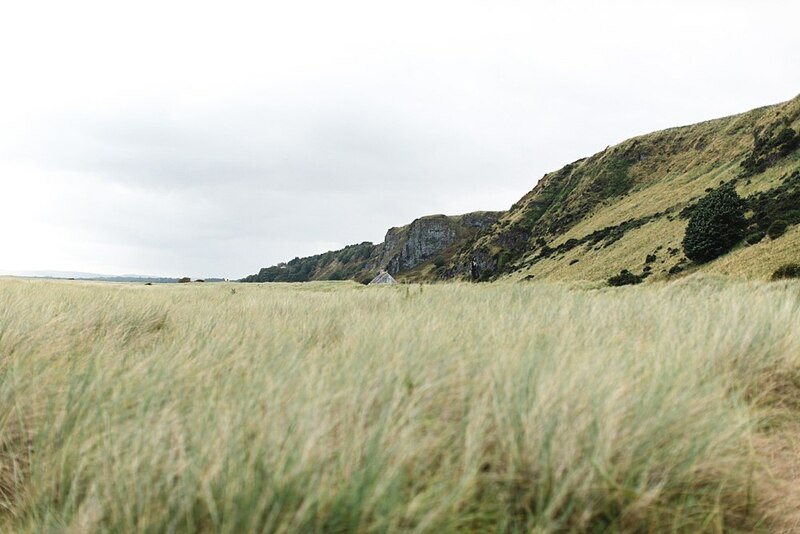 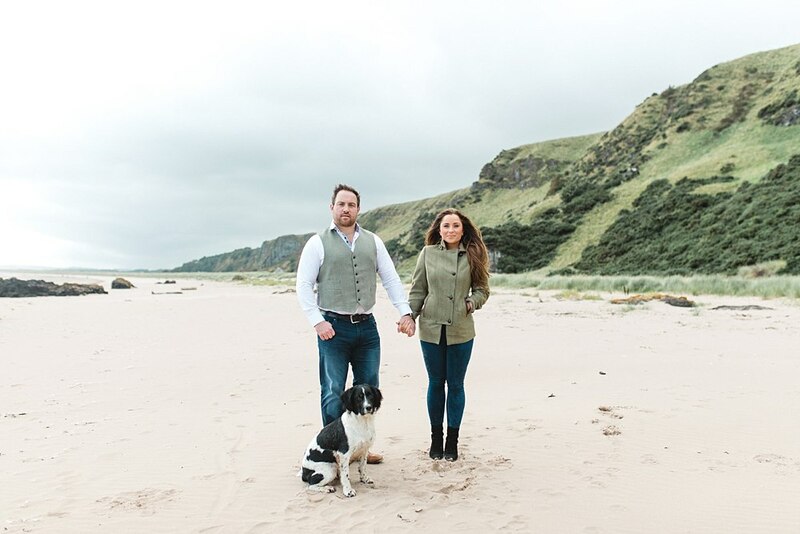 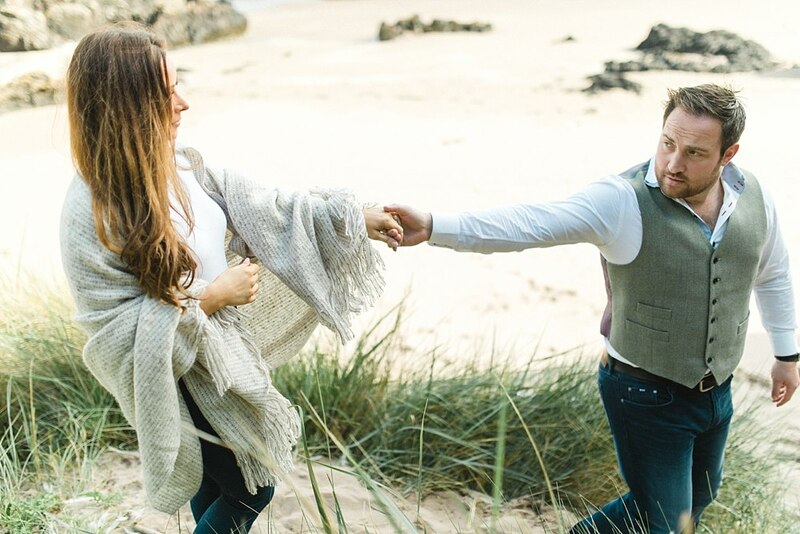 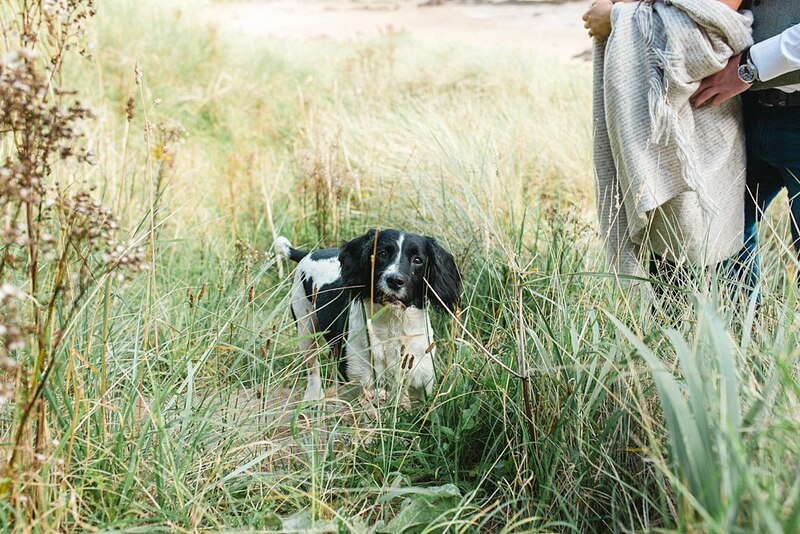 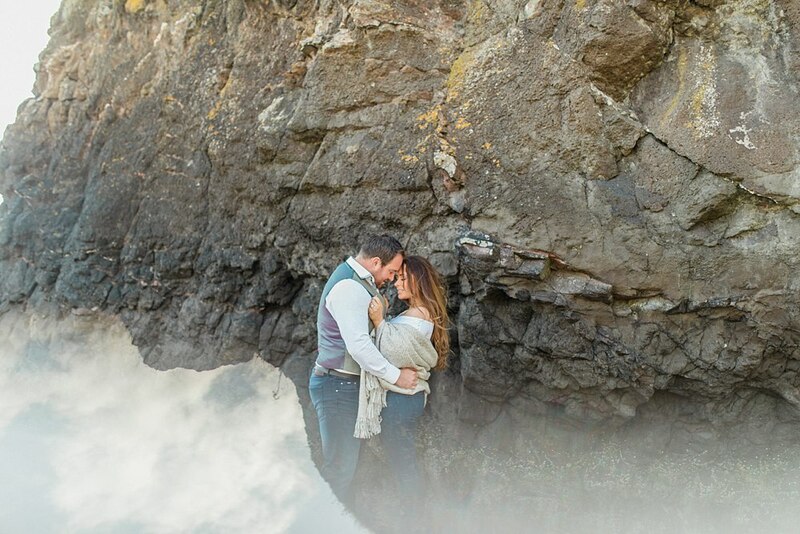 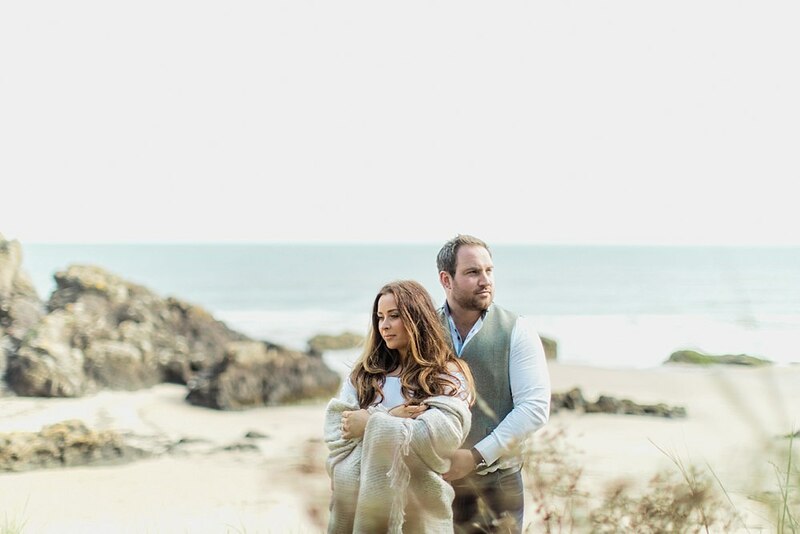 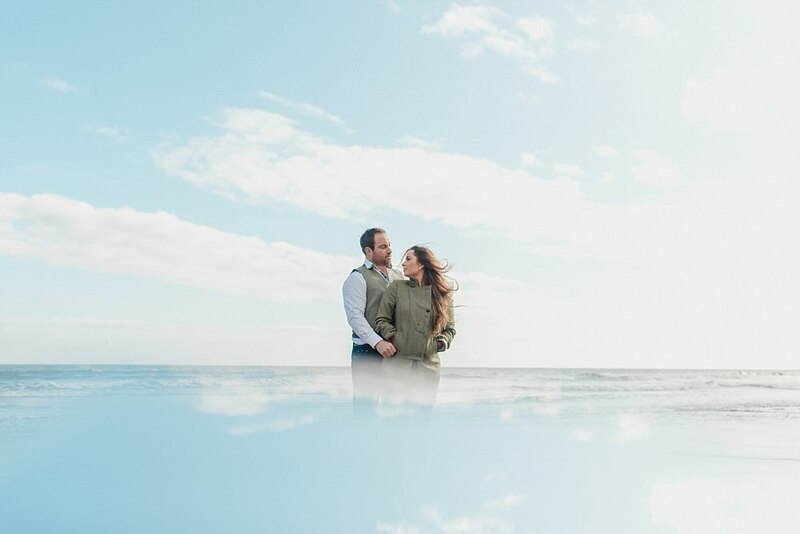 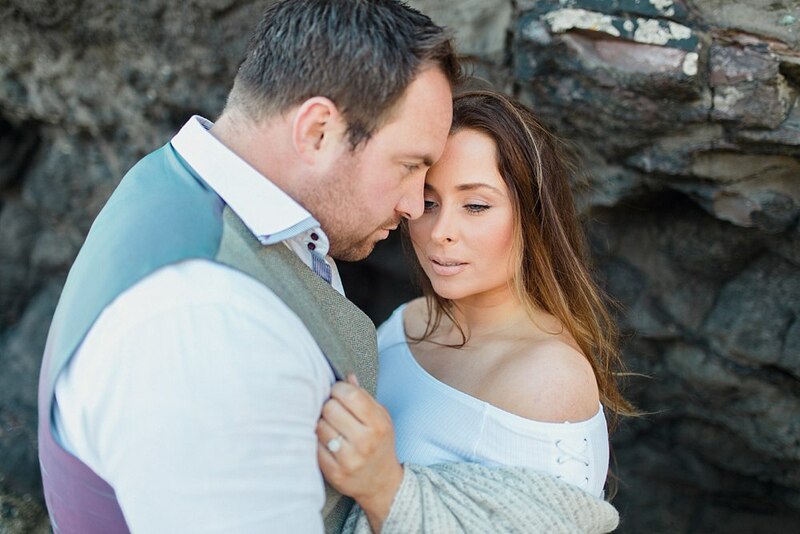 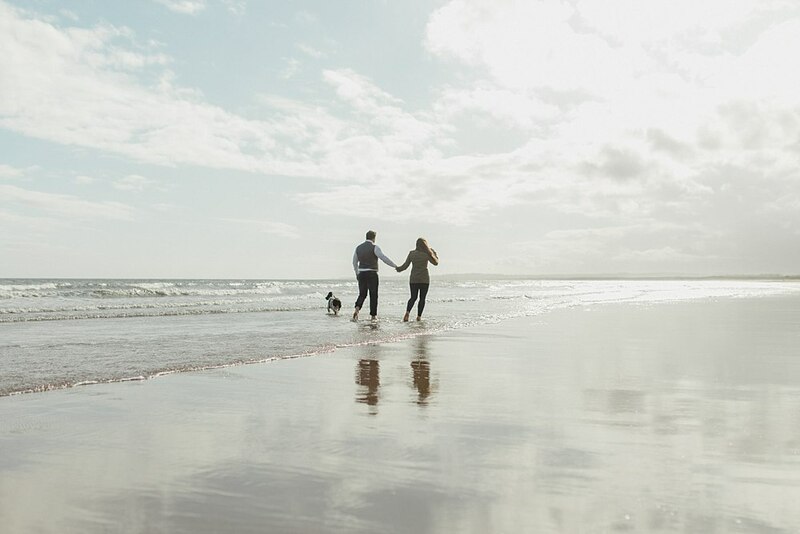 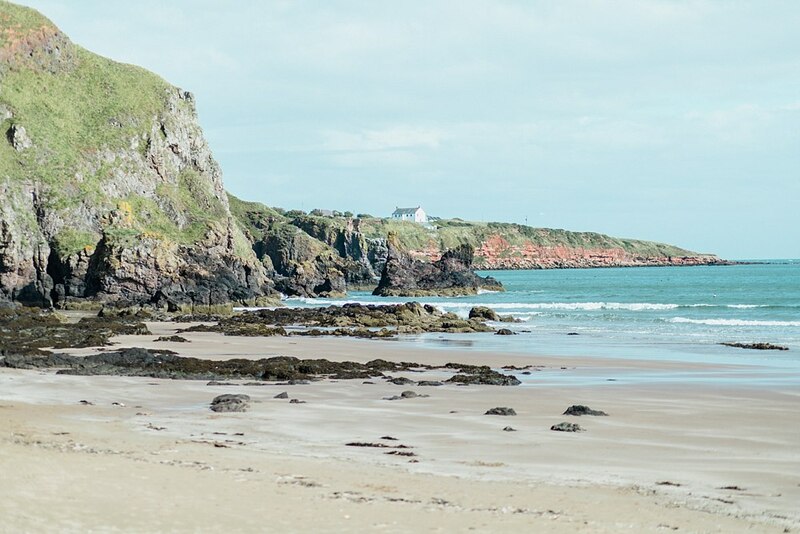 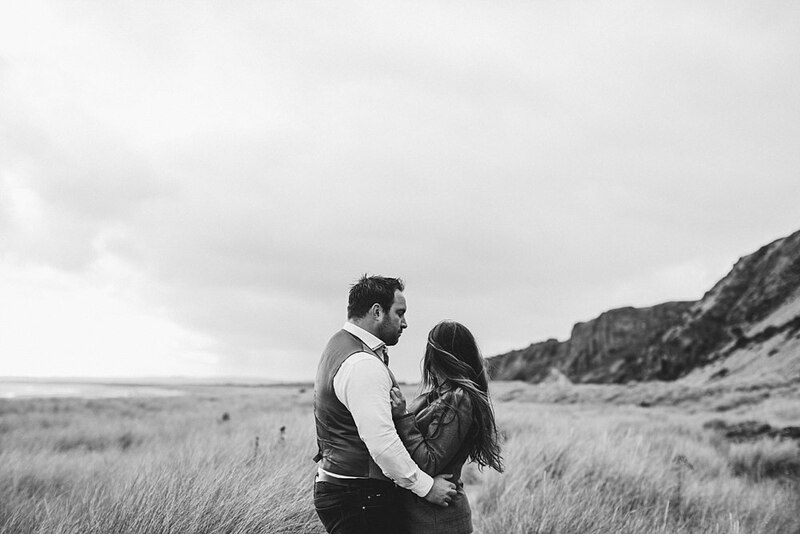 Today we have this romantic St-Cyrus beach engagement shoot on the blog. 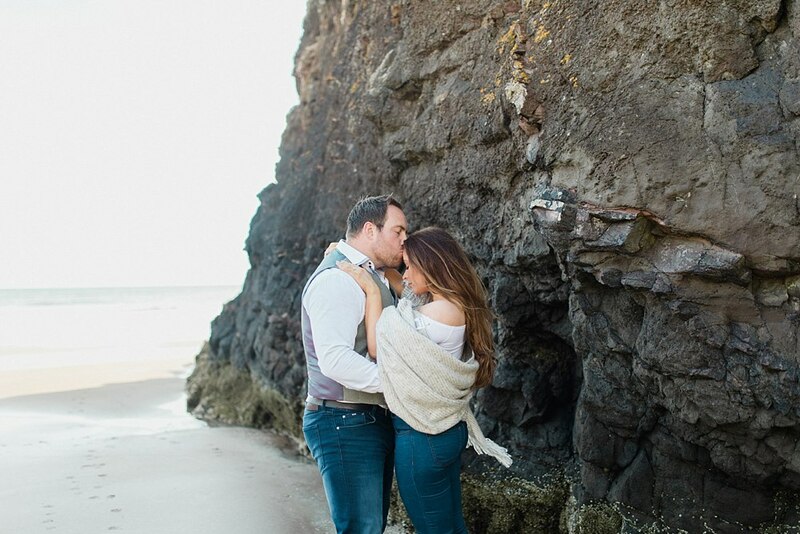 Julia and Charlie live nearby and felt that this beach was special to them so off we went on a mini adventure to capture just how in love these two are. 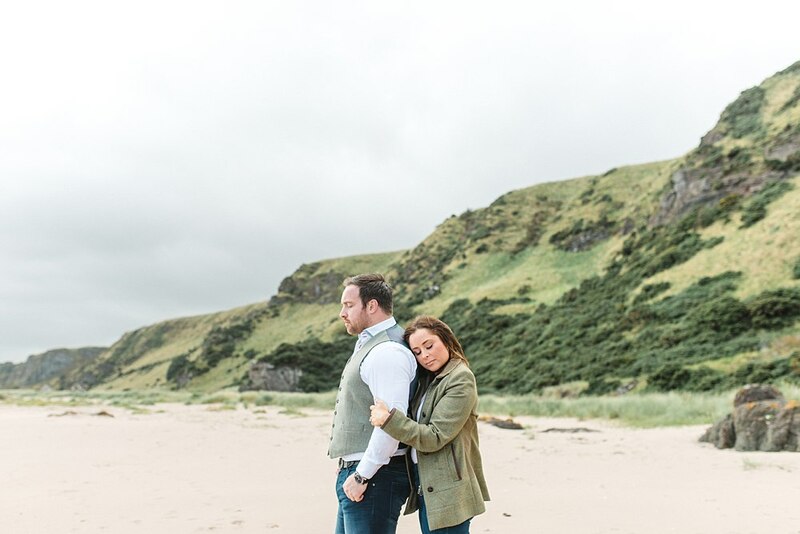 We were so incredibly lucky that the weather played in our favour as we had actually attempted to do their shoot a few weeks prior to this one but it was a complete washout! 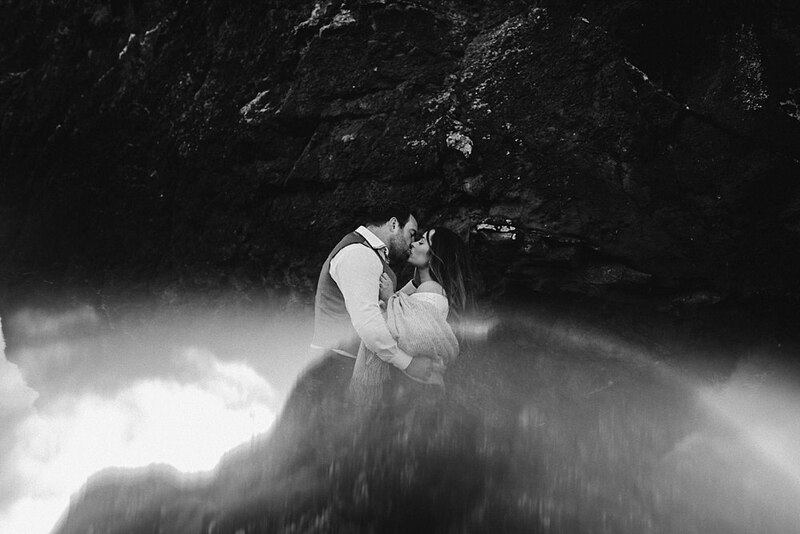 So lets just say we were absolutely over the moon with this weather despite the steep decent and climb back up! 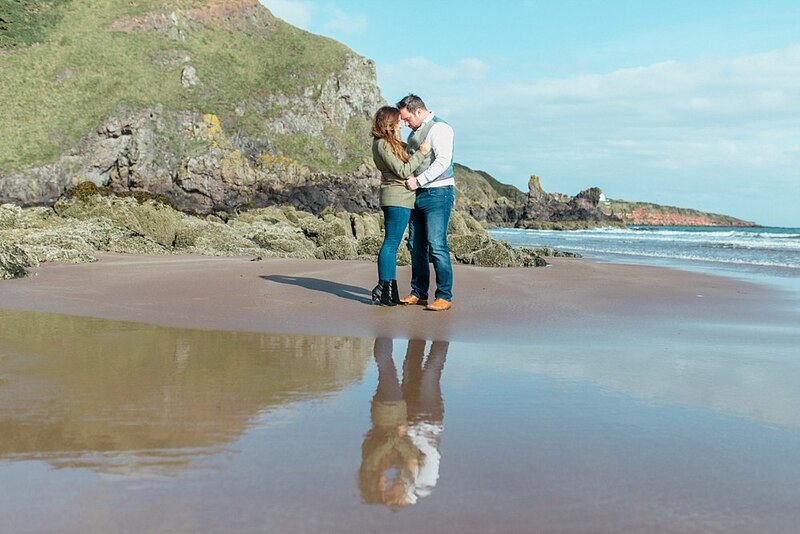 It is well worth it when you get down there and get to use it as a backdrop in your photos! 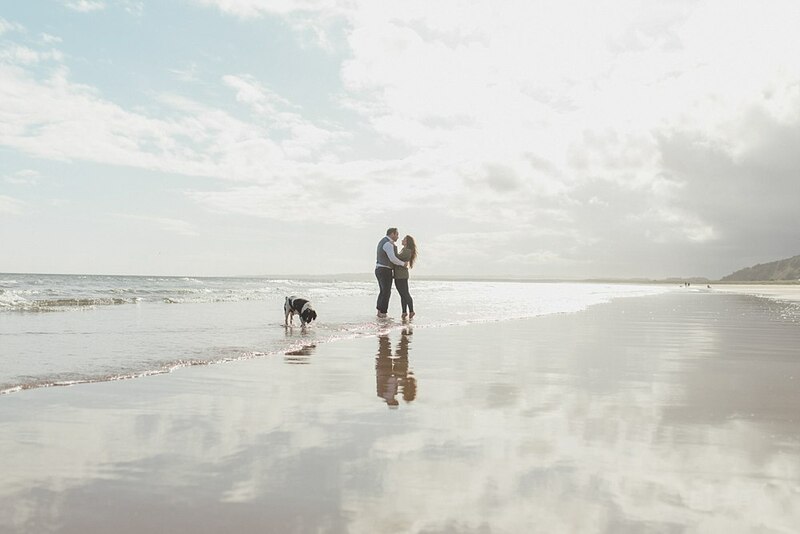 This is probably number 2. on my most favourite beaches in Scotland! 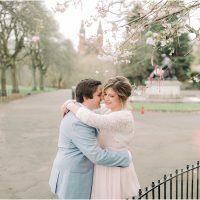 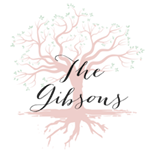 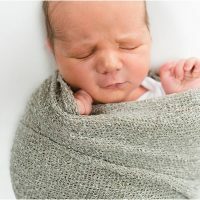 Have a peek and I think you will agree. 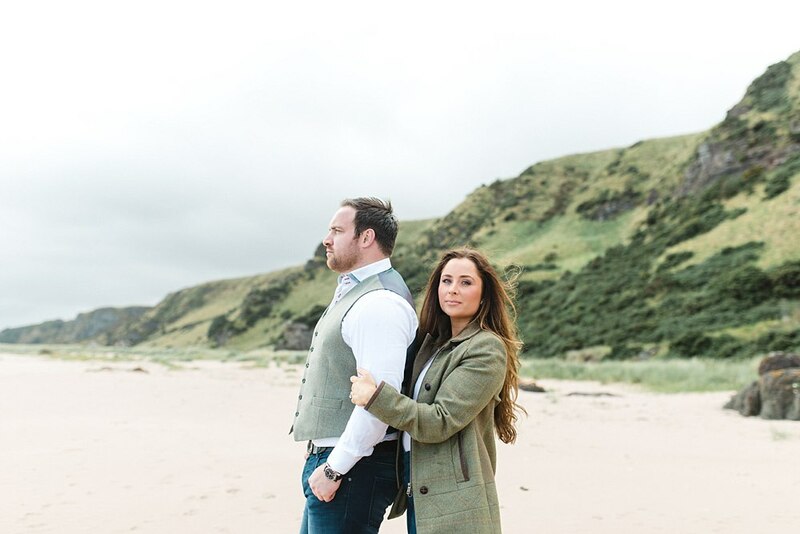 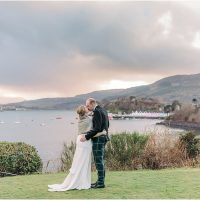 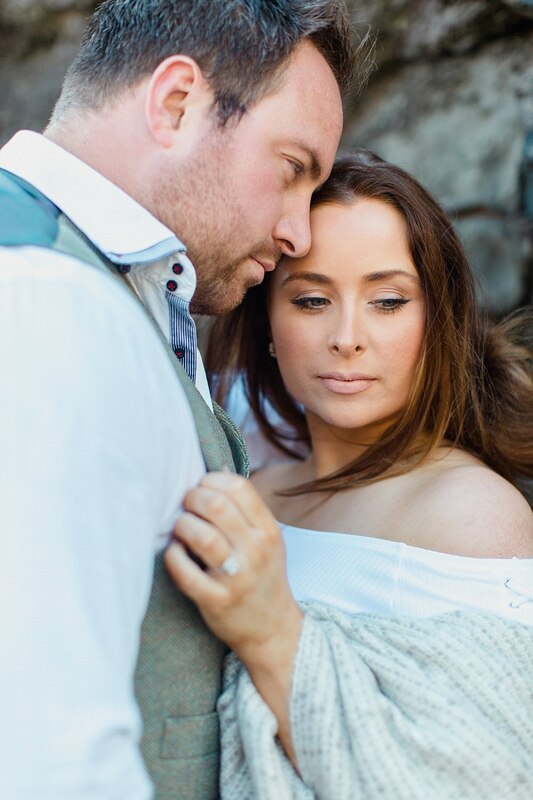 Also stay tuned in the next couple of months for their wedding at Drumtochty Castle! 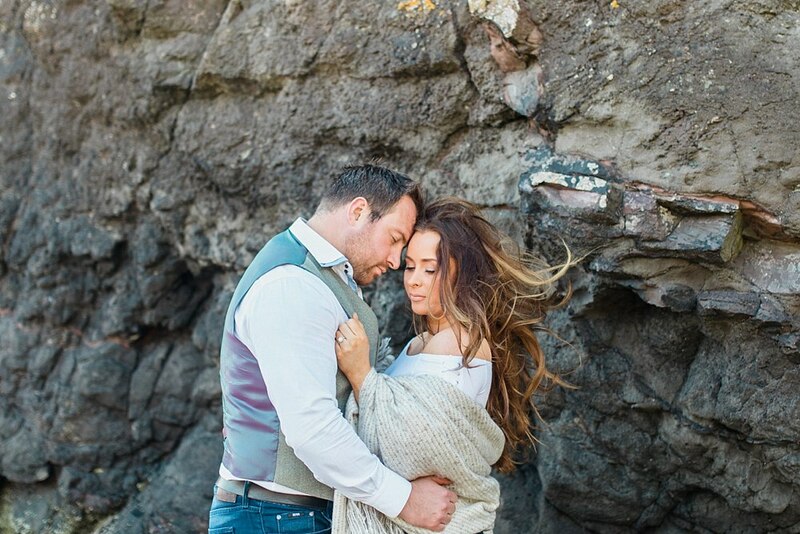 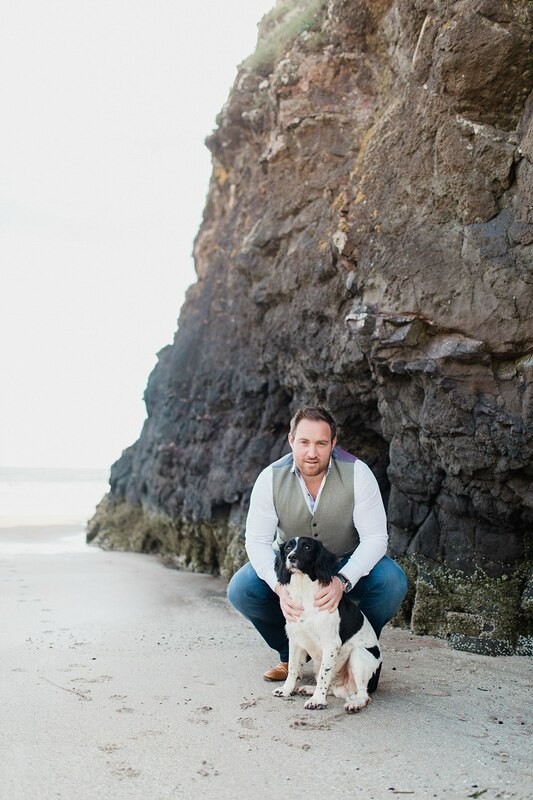 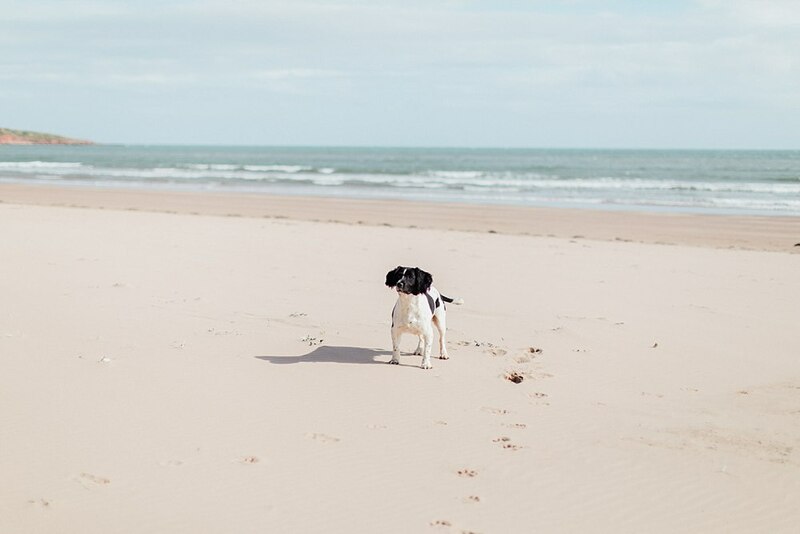 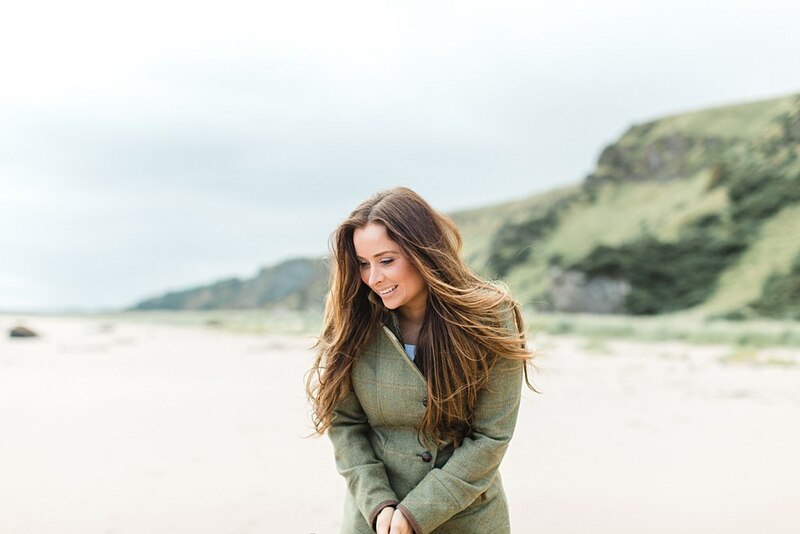 To have a look at other beach shoots we have done have a peek below!